Recombinant monoclonal antibody to CD3 epsilon. Manufactured using AbAb’s Recombinant Platform with variable regions (i.e. specificity) from the hybridoma UCHT1. Developed in partnership with Ximbio (www.ximbio.com). Specificity: Epitopes on CD3-ε found in heterodimers with CD3-δ and with CD3-γ of α/β T cell receptor (TCR). 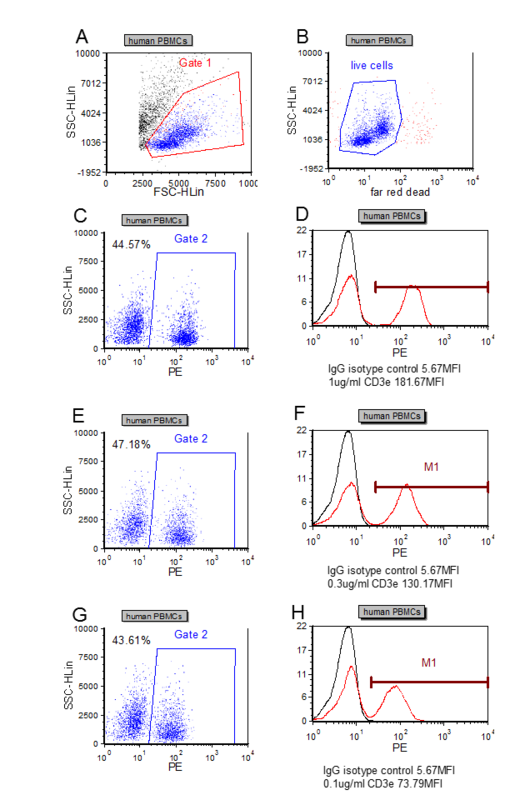 Application Notes: This antibody binds to murine CD3 epsilon. It partially cross-blocks binding of clone 500A2 (Ab00212) indicating that overlapping epitopes are detected by these antibodies. Note on publication: Describes the generation of the antibody, shows it recognised human T lymphocytes using flow cytometry and functional assays. 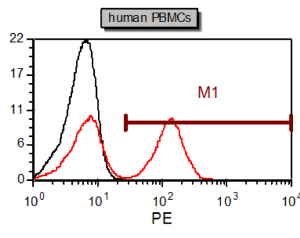 Human PBMCs stained with 1 µg/ml anti-CD3e (red) compared to isotype control (black). Flow-cytometric analysis of the dose-dependency (D, F, H) of anti-hCD3e antibody binding to live human PBMCs (B). The gating strategy is shown for control puposes (A, B, C, E, G). Western Blot analysis of Ab00112 (3 µg/ml) staining of Jurkat (A) and Molt4 (B) lysates (35µg protein in RIPA buffer). Primary incubation was 1 hour. Detected by chemiluminescence. 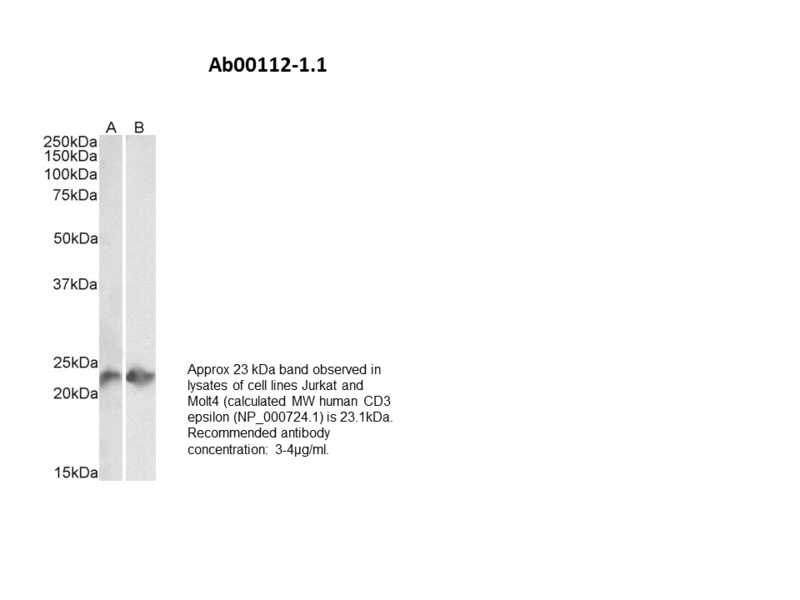 Western Blot analysis of Ab00112 (3 µg/ml) staining of Jurkat (A) and Molt4 (B) lysates (35 µg protein in RIPA buffer). Primary incubation was 1 hour. Detected by chemiluminescence.